Girls often hold pajamas parties not only to strengthen the friendship but also to polish the nails and dye hair, to gossip, to discuss favorite stars and guys. At these parties you can perfectly communicate with friends and enjoy a delicious cup of tea with sweets or even a cake. 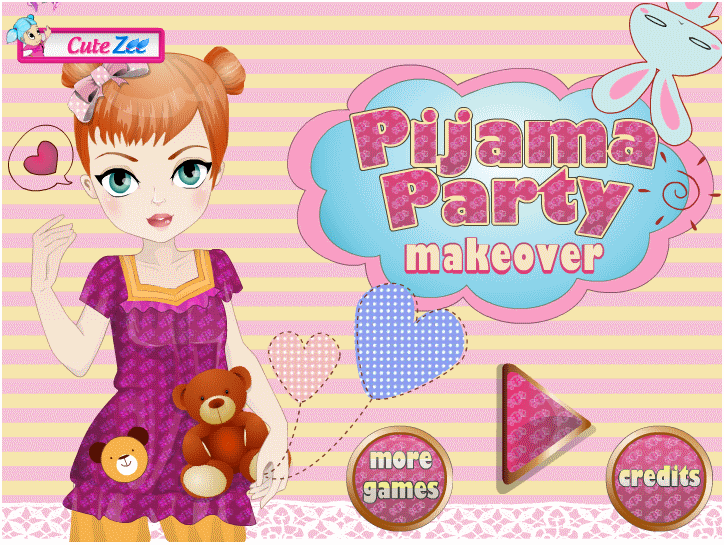 How to play: prepare the girl and choose classy makeup, hair, and then the beautiful clothes for her to come to the pajamas party. Choose a pijama for party.